The Vapor V is one of the popular football boot releases of the year. 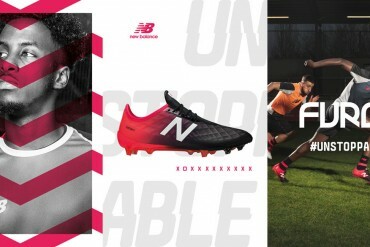 Here’s four colourways set to hit football pitches worldwide. Already on sale is the Mercurial Vapor V in Orange, Abyss and Silver (the orange one) in Abyss, Orange and White (the purple one) and most recently the Black & Voltage Yellow. The Mercurial Vapor V is built around Nike Flywire – a revolutionary construction method that uses super-light filaments to help make the Vapor V strong and light. Weighing in at just 230 grams, the Vapor V features an ultra-light Teijin synthetic upper that adjusts to the shape of your foot for total comfort. And its carbon composite outer works with direct-injected studs to race-tune your acceleration. The Mercurial Vapor V incorporates Nike Flywire, a strong, light fibre inspired by the high tensile cables that hold together suspension bridges. As you will see in the image, it is used in the medial section of the Vapor V, which helps the upper conform better to the shape of your foot, whilst offering extra support. The stud at the toe end of the Vapor V is designed to give grip whilst twisting and turning at high speed.' 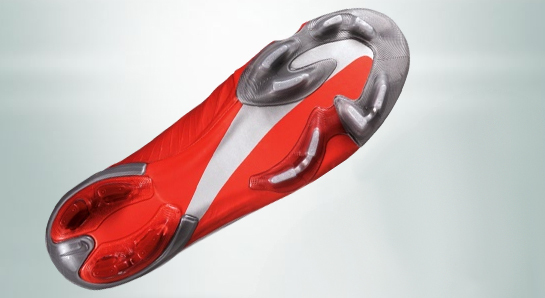 Nike call the studs ‘direct injected’ and the stud configuration should help your traction and penetration with the surface. A lightweight performance product built for speed. 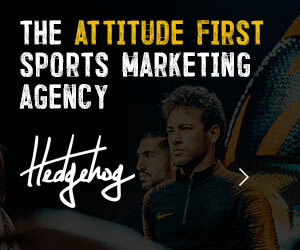 Availability: Now, order yours here – Buy in Europe. 1998 – Ronaldo wears the Nike Air Mercurial football boots. 2002 – Ronaldo wears the boots in the semi finals and final of the 2002 World Cup. 2004 – Thierry Henry gets in on the act by joining Ronaldo as they launch the Vapor II. 2006 – Featuring Tejin microfibers, the Vapor III comes out out in white and gold. 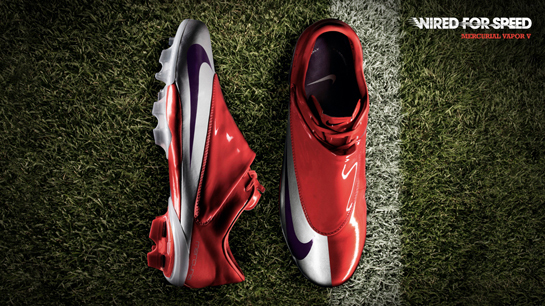 2008 – A massive year for the Vapor IV as no less than 10 colourways are released including the infamous Pink Berry. 2008 – First pictures begin to emerge of the Vapor V.
SHOW US SOME PICS OF THE V’s!!! I just purchased these boots and after playing in them once I got stood on and this split the lace cover very easily. is the vapor v as bad as everyone says they are. i had the vapor 4 but they gave me blisters? I got also blisters ! I hope i’ll get none with the V.. I think to buy the adidas f50i.. what do you think ? If You Want Too … Look and Play The Best , You Have Too Face Pain . they are going to publish these shoes too early…. but if they are better looking then the iv then post those pics up……. We will post a more descriptive review soon and follow it up with pictures at the proper time. the Mercurial V is pretty much the same as the Mercurial IV. Even if you look at the pictures everyone is showing you can’t even notice a difference other than the colorways. The superflys are nikes new big thing, not the Merc V. The superfly is what all the pros will be wearing. 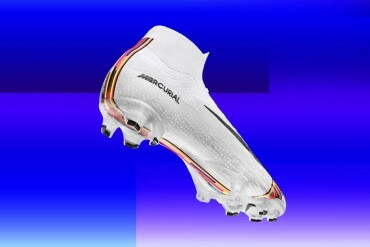 The kept the mercurial V around cuz not everyone who wants a higher end boot is gonna want to shell out that much coin. Totally true, the IV’s R way better. 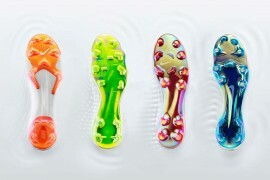 these are the crazyest vapors but does anybody know when there coming out, please sombody answer this. thanks. The black and yellow colourway look mean. I would love try those football boots out. Correct if I’m wrong here, the 1998 Mercurial were they called Mercurial R9? Im not going to lie I prefer my v’z 4 but I do want to try them out. They are available around the same time as a big tournament coming up so im getting them.. The all silver with a little red are my favorites. um don’t the V’s and Superfly’s look basically the same except that u can see the fly wire and no lace cover…. Yeah you are right the superfly’z are exactly how you described them. But they are going to be way to expensive..
Ela ĂĆ’Ă‚Â© horrivel eu tenho 3 mercurial IV e vo fica com elas nĂĆ’Ă‚ÂŁo vo compra essa nĂĆ’Ă‚ÂŁo ĂĆ’Ă‚Â© muito feia. What is wrong with you all? Am I the only one to notice they look identical to the 4’s? yeah they are like the vapor IV, but is an ugly version. 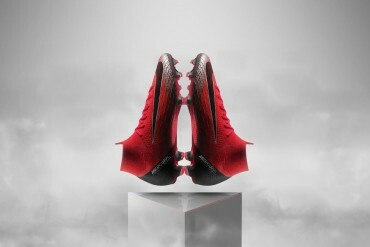 But what’s the different with the mercurial vapor superfly? Whats on the other side??? Look a bit too similar to the IV’s to spend another Ăâ€šĂ‚ÂŁ120 to update. 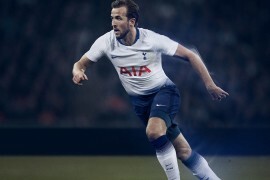 I think the big thing the pro’s will be wearing is gonna be the superflys. Wouldn’t mind a black and yellow pair of them. can anyone tell me when the black/gold mercurial vapors are coming out in canada or the US, preferally canada. guys this is pathetic. Not only have they not released something that looks much different from MV4, they havent even made new technologies! Same soleplate, same tejin synthetic, same lace-cover, they actually removed those lines at the front of the shoe which were supposed to offer traction or something. The superflys are the new thing, but I don’t get why they removed the lace cover there. They also look quite bad. I say just stick with MV4s, they’ll be cheaper and offer pretty much the same thing. I looked at MV4 and MV5 side by side pictures, can’t really see much difference at all. MV4 upgrade over MV3 was much more worthwile. 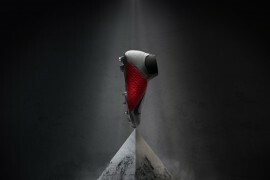 The MV5 Is Pretty much A tweaked Version,Changing Things like The looks, Common Breakages , And Not to Mention The Deadly CarbonFibre Heel Things Has been removed, which in many peoples mind was what ruined the boot.I personal think these are a good investment as i had problems with the last Model. On the instep of the Vapour V’s and the Superflys, they have fly wire. 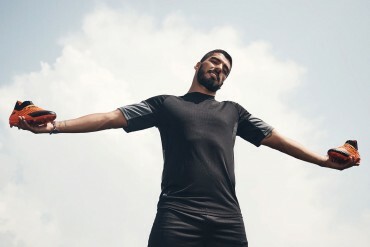 This means they have strands of high tensile what ever it is to give supoort to that area and makes Nike able to make the material thinner and therefore make the boot lighter. On the superflys, they have hollow studs, carbonfiber soleplate (thats obviously gonna crack), flywire all over and no lace cover. Drogba wore a pair of these recently in an international game for Cote d’Ivory and as soon as he got tackled, the boot just ripped in half from the ankle straight down the side. Tom, they are the same boot yes. However they are not the same name. 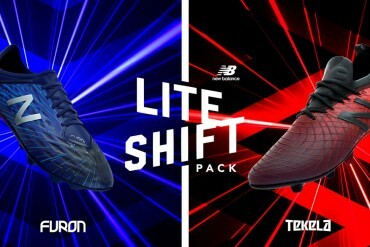 The difference between them is similar to that of the Vapor IV SL boots and the normal ones. My view, they aren’t very nice. Only one I would get is the black. 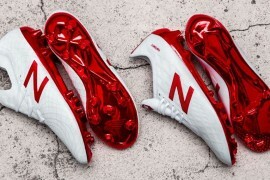 These boots are same kind of vapor IV. There are just one stripe and thats it. 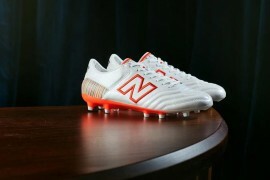 these are coming out in april. yea most people know that but they are also making a blue, black and white pair. Is it just me or has the lace cover gotten bigger? If I had to get a pair I would get the silver and red ones! There was no pint in nike bringing out the MV5 because they are similar but worse than the MV4. Superflys not great as well! Is the Mercurial Vapor Superfly made for womenĂâ€šĂ‚Â´s too ? I know that the Mercurial Vapor V (the normal one) is made for womens too, but are the SuperflyĂâ€šĂ‚Â´s ? And if they are, which size does it start on ? well I donĂâ€šĂ‚Â´t think so but I played with the IV last year and the where great eventhoug I have typical women feet with thin wrists 😛 But you have to have at least size (39 1/2) EU to wear them. I hope that they will make the superflyes for women and sell them to a lower price because those shoes are amazing!!! What’s the dierence between the MV V’s and the MV IV’s other than different [email protected]? 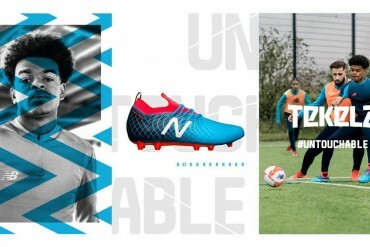 it says on the nike website that there isnt going to be a lace cover on these boots! ronaldo lastnight….gift…blck and yellow are slick.GET YOUR VAPOURS OUT! agree that the black and yellow ones and even the silver ones look dynamite. 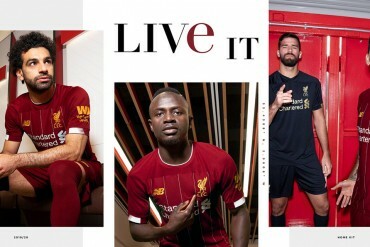 any idea when these will be released and if they will be released in superfly versions?? The black and gold ones are unreal, when will they be coming out? OMG! Mine Arrived Today For Some Reason And They Are Pure Beauty! Can’t Wait To Put Them On The Field! I hear the silver/white/red ones are coming in june but is that true?? When are the black and white ones coming out?? But which ones will be in soft ground studs? 1) Is it worth buying the MV 5’s or should I just get the MV IV or the SL. 2) Does these boots really give blisters, I means i’ve got kinda wide feet.. so will that be a problem. 3) are the MV 5’s only going to have 4 colourways, if so when does the black and the white one get released. When are the silver and red V’s coming out! how come the platinum vapor V are different from the superflys on this website where the main color is white? seriously, is the boot that BAD???? im still planning to buy one… or does it depend on the “kind” of foot you have? are they bad? my vapor iv isnt that bad..
hey does anyone know when the full black Merc V’s come out? hey where do u find the black and yellow superflys? does anyone know the next colorway after the black/yellow ones? i’m personally prone to blisters, i just cover my heel with strapping tape and i don’t get blisters anymore..
are these boots thin cause i wanna get them but im scared they might rip and also are they hard to shoot with. Which is better talaria or vapor? You should tru every boot in the store before you buy one. I made so many misstakes when buyin boots just becasue i think they look awsome. I heard that nike is going to make all thier soccer shoes carbon fiber is that true? yes it’s true about the carbon fiber. 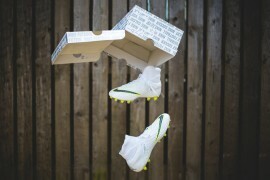 Vapor Superfly’s are way better than these boots. dude to these shoes get these light cracks sorta thingys when they bend?